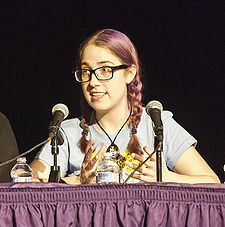 Skepchick is an atheist website founded by Rebecca Watson. Intersectional issues aside, being arrested and convicted means being caught breaking the law. Would most of us atheists consider, say, possession of small amounts of marijuana to be a crime worthy of incarceration, let alone an immoral act? Yet prisons teem with non-violent drug offenders. As for being caught, I will return to the example of marijuana. How many of us class and race privileged* atheists would be imprisoned for drug possession had it not been for residence in low-density housing in areas rarely patrolled by the police? Living in a detached home reduces the likelihood of a neighbor or passer-by reporting drug use to the authorities but is hardly an indicator of superior moral character. Given that we’re a movement of people not exactly known for dealing so well, if at all, with issues of race or class. FiveThirtyEight is a prominent website that focuses on opinion poll analysis, politics and other matters. “ So what explains these discrepancies between religious affiliation inside prisons and outside them? I’ll set out a couple of possible theories. 1. Maybe it’s income. We know that Muslims and Americans who identify with historically black Protestant churches tend to have lower incomes than the national average. And we know that 44 percent of federal prisoners earned less than $1,500 in the month prior to their arrest (I’m afraid the last time prisoners’ income was surveyed was in 2004, though, and those are 2004 dollars). 3. Maybe it’s immigration. We know that most American Muslims immigrated to the U.S. sometime after 1992. And we know that 12 percent of the federal prison population is described as “non-citizens” (a term that means they’re foreign-born and, according to Ed Ross, a spokesman at the Bureau of Prisons, entered the country illegally). Though almost all of the state prison chaplains describe spending their time organizing religious programs, many suggest that religious influence is coming from elsewhere in the system. Seventy-four percent of the chaplains said that efforts by inmates to proselytize or convert other inmates are either very common (31 percent) or somewhat common (43 percent) in the prisons where they work. ↑ Are Prisoners Less Likely To Be Atheists? This page was last modified on 9 April 2019, at 08:51.